Shopping for a Chevy at a Mazda dealership may seem a little bit kooky at first, but, trust us, there’s nothing strange about it. As a matter of fact, some of our most popular used cars are Chevy models! Take, for instance, the Equinox. 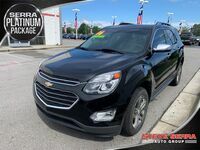 We have several used Chevrolet Equinox models available now at our dealership in Trussville, AL, and every single one would make a great addition to your home. 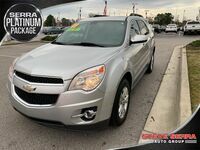 Moreover, there are several reasons as to why so many customers have chosen to lease or finance a used Chevy Equinox at Serra Mazda. Not only is our dealership synonymous with exceptional customer service and reliability, but we are also a proud part of the Steve Serra Auto Group. As such, we are able to provide bona fide customers with several premium perks. For starters, let us tell you all about the Serra Platinum Package. 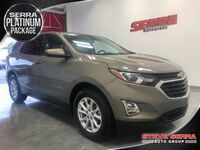 When you lease or finance a used vehicle at Serra Mazda, such as the Chevy Equinox, we’ll throw in the Serra Platinum Package for free! Now, what does that mean? What’s included in the Serra Platinum Package? If you have the Serra Platinum Package and you bring your car into the dealership for a service appointment, you will receive an exclusive bundle of benefits. While you wait for your car, you will have access to on-time shuttle pick-up and drop-off as well as free breakfast and lunch. Then, when your car is returned to you, it will be eligible for a complimentary car wash, plus you’ll receive 10% off on all parts and service prices! As if those benefits weren’t enough, you will also have one free oil change and one free tire rotation to cash in at your convenience. To learn more about the dealership’s leasing specials, financing opportunities, or the Serra Platinum Package, interested parties are encouraged to contact our sales team by calling 205-419-5556, clicking here, or visiting Serra Mazda in person at 1503 Gadsden Highway.